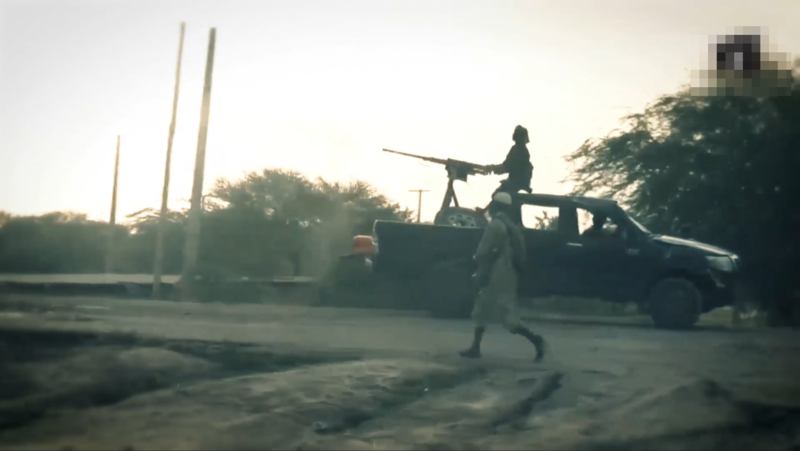 On 15th January 2019, ISIS West Africa, also known as IS WA, or Wilyat West Africa, released a new video showing various attacks against the Nigerian Military that occured in late 2018, essentially the last two months of that year. These raids occured in Northeastern Nigeria. 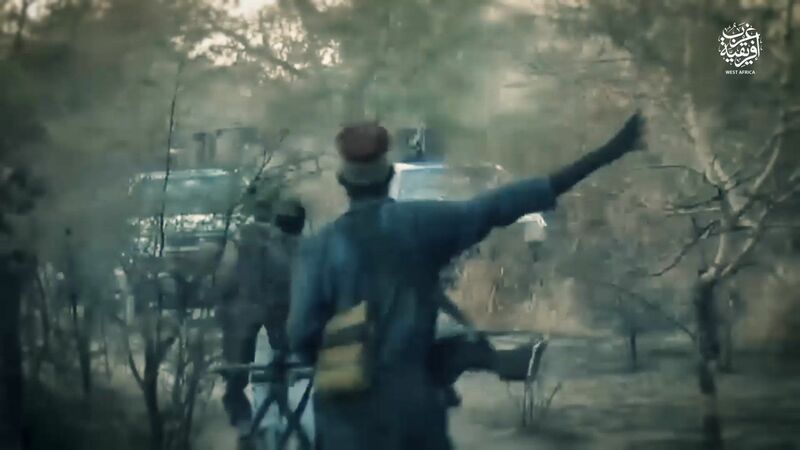 Whilst this branch of ISIS is often called Boko Haram, it's name prior to making Bayah to ISIS in March 2015, it is the official ISIS franchise in the Area, and a separate group- Jamaat Ahlus Sunnah li Dawah wal Jihad- led by the previous leader of ISIS WA, Abubakar Shekau, is not to be confused with it. 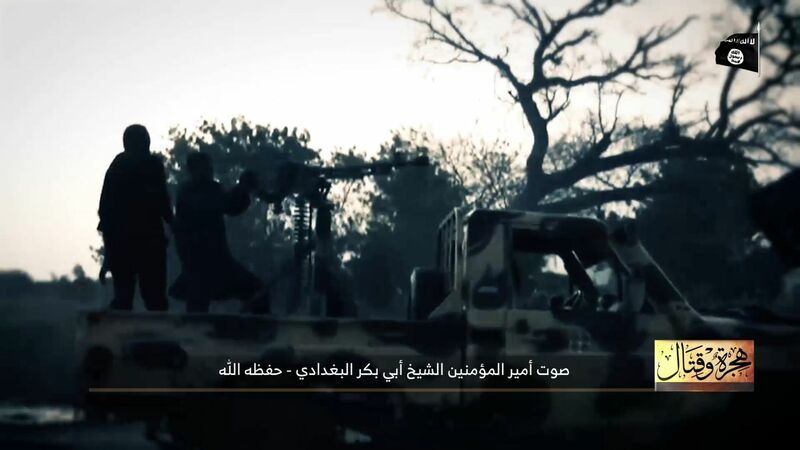 This is despite Shekau's group continuing to use ISIS imagery and not having rescinded it's allegiance to ISIS Central. 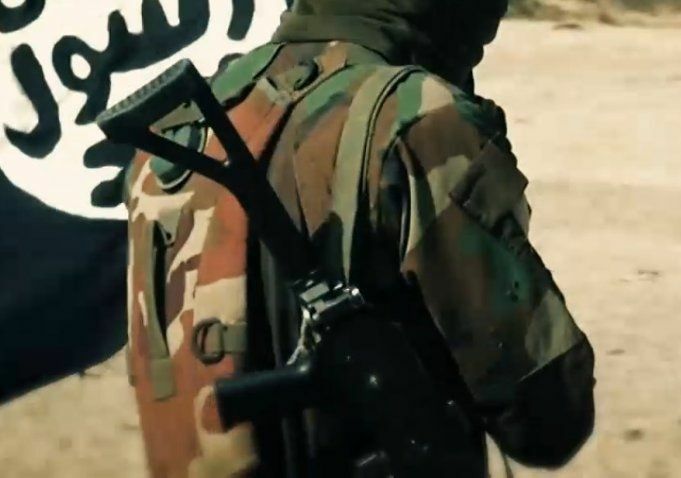 IS WA has appeared to have grown in strength recently, with various apparent successes against the Nigerian Military, such as a recent attack on the town of Baga, the second largest city in Borno state. 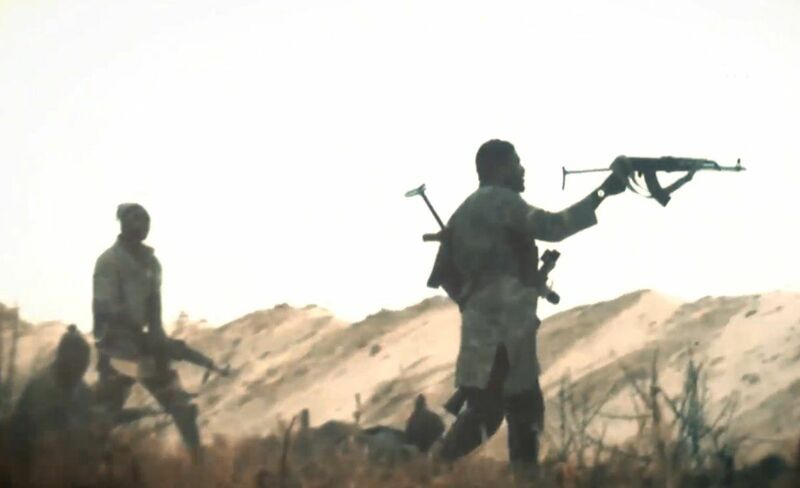 Although the author is unclear as to the extent that the recent video shows this attack, numerous images have also been released, as well as video from the ISIS affiliate, Amaq Agency, showing the fighters and the weapons of this dangerous ISIS affiliate over recent months. The standard issue rifle of the fighters of IS WA is the Chinese Type 56 AK variant, with some original Russian AKM rifles also making an appearance. The Type 56 family (Type 56-1 with an AKMS-style underfolding stock, Type 56-2 with side folding stock, and original Type 56 with fixed wooden stock) are extremely common across many areas of the world, not least Africa. These rifles can have both a milled receiver in the case of earlier production rifles, and stamped receiver in the case of later production, very similar to the AKM. However these rifles are cheaper than the AKM and have probably been even more widely sold in West Africa than the Russian original. 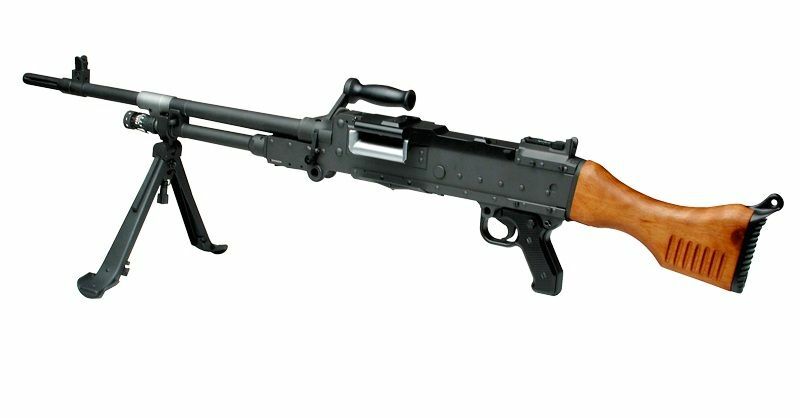 They are manufactured in various factories by the massive Norinco arms company, and production continues today. 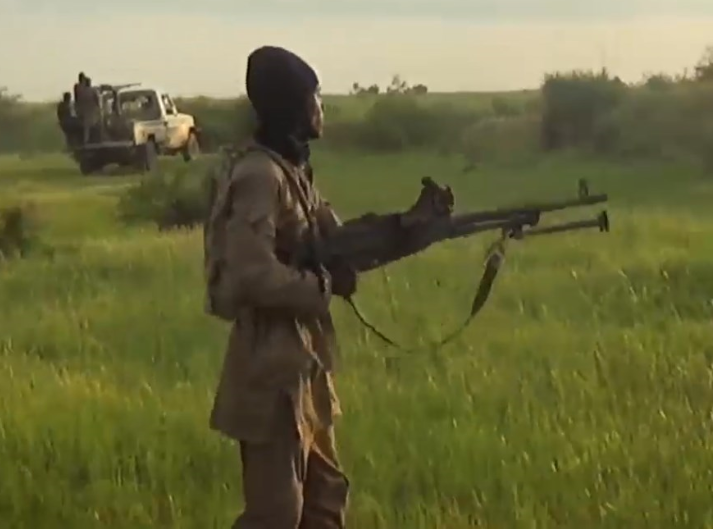 Militants with Type 56 and AKMS Rifles, both 56 and 56-1. On the right, an example of a stamped Type 56 rifle. However other rifles can also be spotted in the hands of militants, such as this AK variant, the M21 S. This rifle is manufactured in the former Yugoslavia, now Serbia, and is a modified version of Zastava's own copy of the AKM, with plastic furniture, folding stock and other changes, including calibre- the M21 S is in 5.56x45mm NATO, compared to the the 7.62x39mm rifles in use by the rest of the militants. These changes are likely to make the rifle more attractive to prospective customers, as well as increasing the price compared to more basic AKs, such as the Type 56, or Zastava's own M70 rifle. 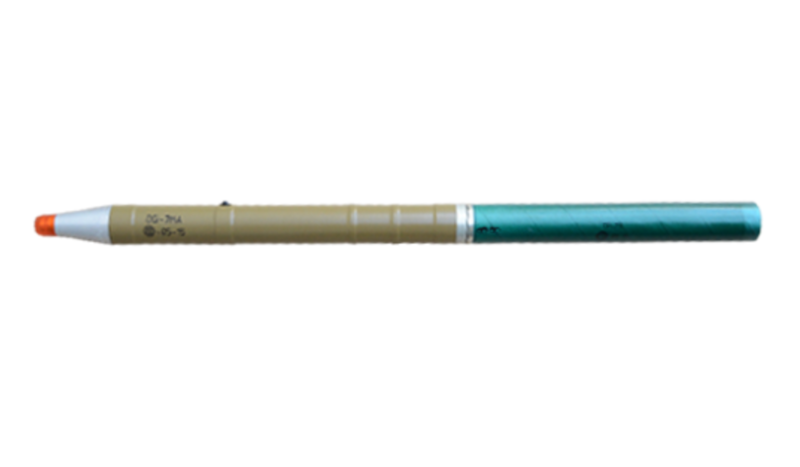 The M21 S is also therefore likely to be more of a status weapon, carried by individuals as can be seen below, who also is dressed in different camoflage. Although it is difficult to discern what position this fighter holds, it is common across the world for leadership figures, spokesmen or other distinctive figures to carry fashionable or superior rifles. 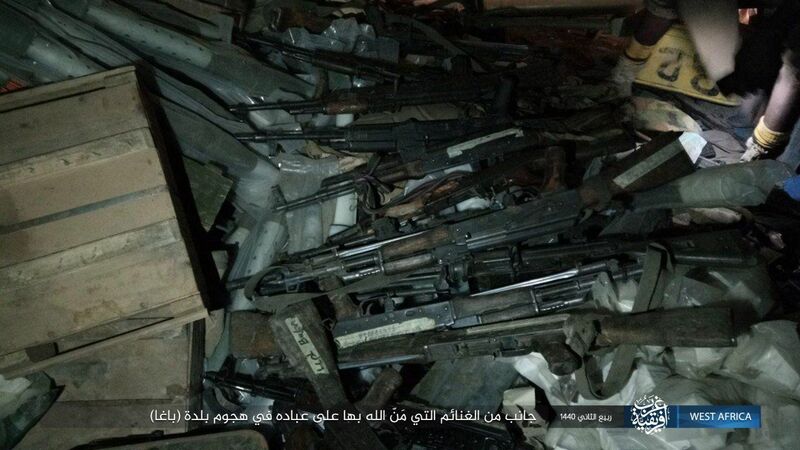 The source for rifles in use by armed groups such as these is usually hard to discern. 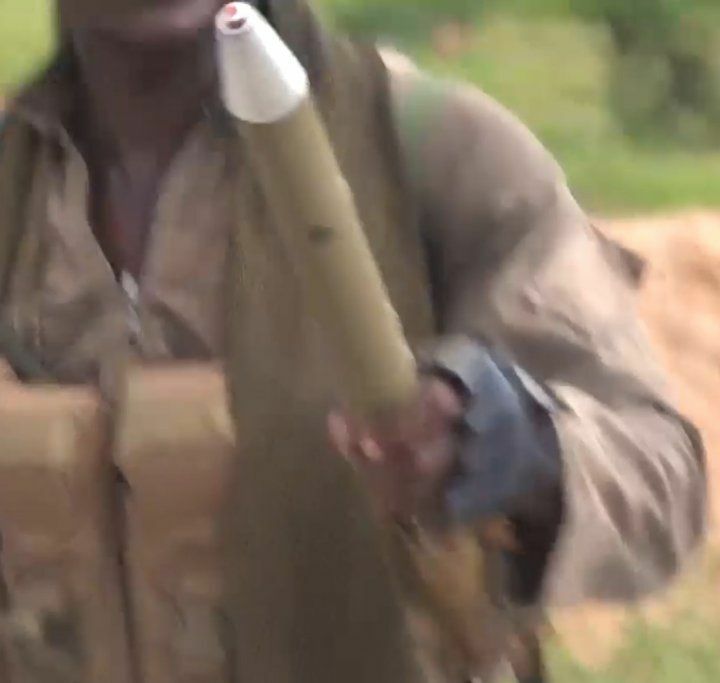 However, unlike the extremely common AKM and Type 56, used by almost every country in Africa, the M21 S is only used by one country in the region, Cameroon, as infamously shown in the BBC Africa Eye Investigation of a September 2018 massacre in that country, carried out by Cameroonian soldiers. 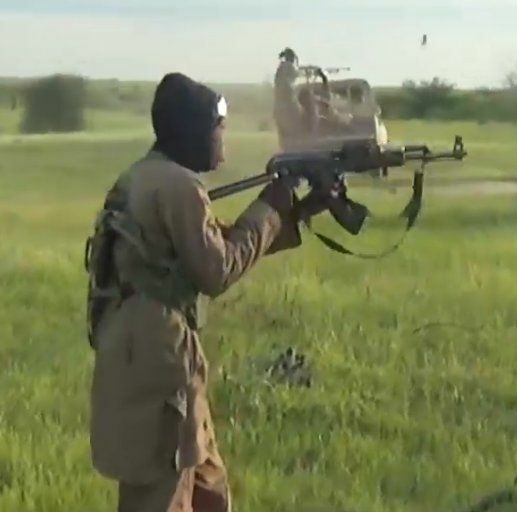 Cameroon borders Nigeria, and has also faced attacks by IS WA, in particular in the North of the Country. Hence it can be determined that it is very likely that the source for this rifle in IS WA hands is either capture from Cameroonian authorities' armed forces, or unauthorised transfer, as a result of corruption. 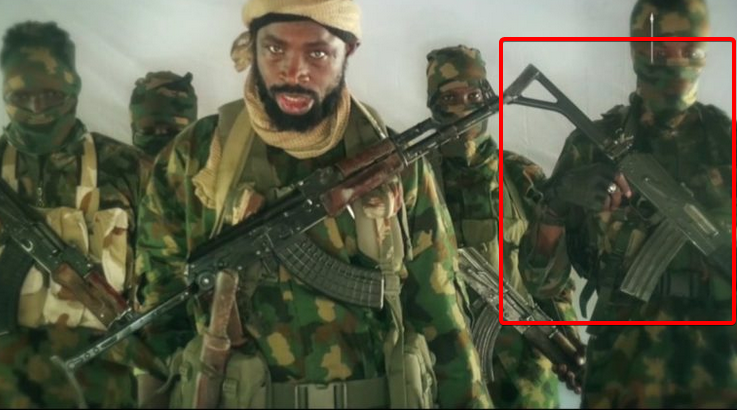 In the author's view, given the very limited amount of these rifles shown (Less than 5 in a large propaganda video) corresponding to their limited use in the Cameroonian Armed Forces, these rifles are most likely to be captured, possibly during a spate of IS WA attacks against Cameroonian forces in 2014 and 2015. 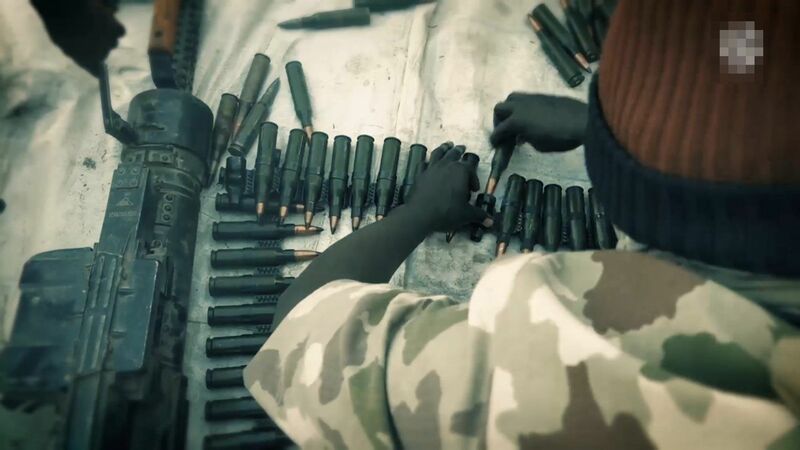 These rifles were possibly captured prior to Abubakar Shekau splitting from IS WA, as a still from a Propaganda video from Jamaat Ahlus Sunnah li Dawah wal Jihad in November 2018 shows a M21 S, and attacks by the latter group in Cameroon since splitting appear to be limited. 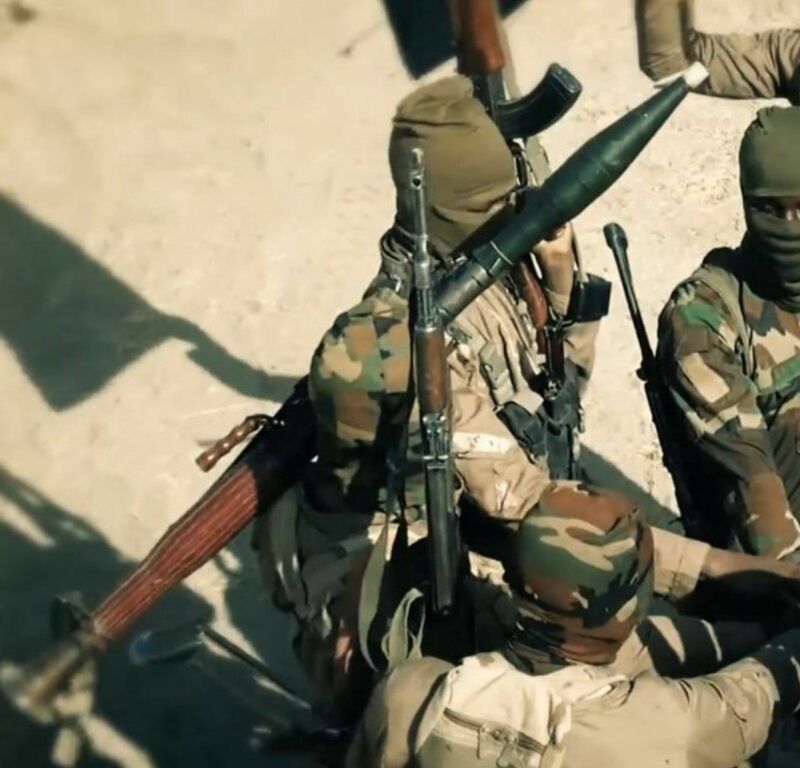 Regardless of the origin of the weapon, the tendency for Jihadi groups to show off superior or fashionale weapons (The M21 could be regarded as generally superior to the typical worn out Type 56, as well as likely much newer), evidently is not limited to the Middle East. 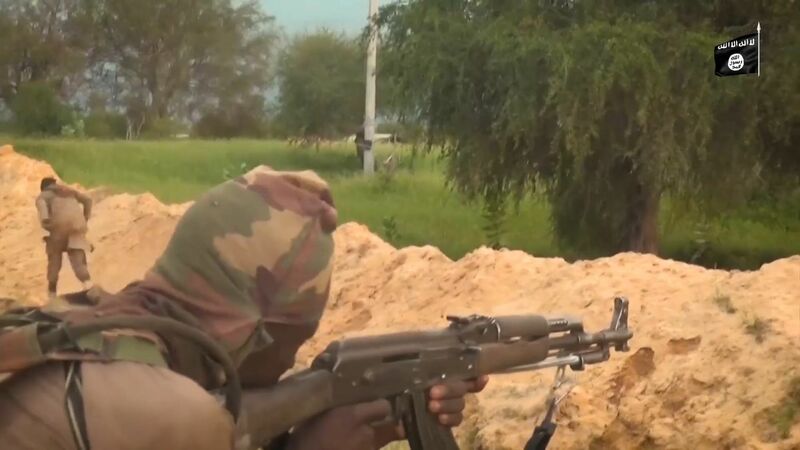 When it came to larger arms, the main machine guns shown in use were the FN MAG, a common Belgian 7.62x51mm NATO general-purpose machine gun used by various forces across the region, but most likely captured from the Nigerian Army. This was accompanied by the extremely common PK/PKM series of 7.62x54r chambered machine guns of Soviet origin. Ammunition for both of these weapons is widely available, as would be parts. To see these in use is entirely expected. Rocket-Propelled Grenades, in the form of the ubiquitous RPG-7 launcher and it's Chinese cousin, the Type 69, are a staple of Insurgencies and Terrorists all over the world, including in IS WA's case. The great bulk of rounds seen in use by the group are the PG-7V round, and it's variants (PG-7VM, etc), which can be very hard to tell apart. However, the PG-7V type round is, like the Kalashnikov, cheap, produced in the thousands, and capable against lightly armoured vehicles, buildings, and other structures. No footage is shown of their use against the Nigerian Armies Vickers Main Battle Tanks, or even APCs, although the footage contains numerous RPG attacks against Nigerian Army-occupied buildings. A Militant with a Romanian produced PG-7VM round. This is a slightly more modern PG-7 variant. Note the M21 S rifle behind. This is in contrast to some ISIS-central propaganda, that usually prefers to amplify and show off attacks against enemy armour with RPGs and ATGM. 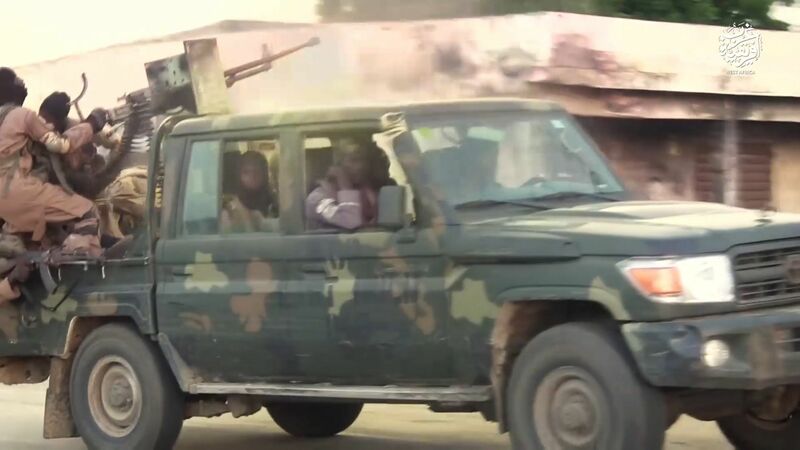 It's possible that the low amount of armour in use by the Nigerian Army in the area, and the quick abandonment of such vehicles mean that there simply is no need for much anti-vehicle action. suppress enemy manpower wearing body armor located in the open, in field shelters and buildings, as well as to engage soft-skinned vehicles. An improved version of the OG-7V can be seen in the hands of a Militant during an attack on a Military base, in particular a Bulgarian OGi-7MA improved fragmentation round, with an anti-graze fuse and more fragmentation effect than the default OG-7V. 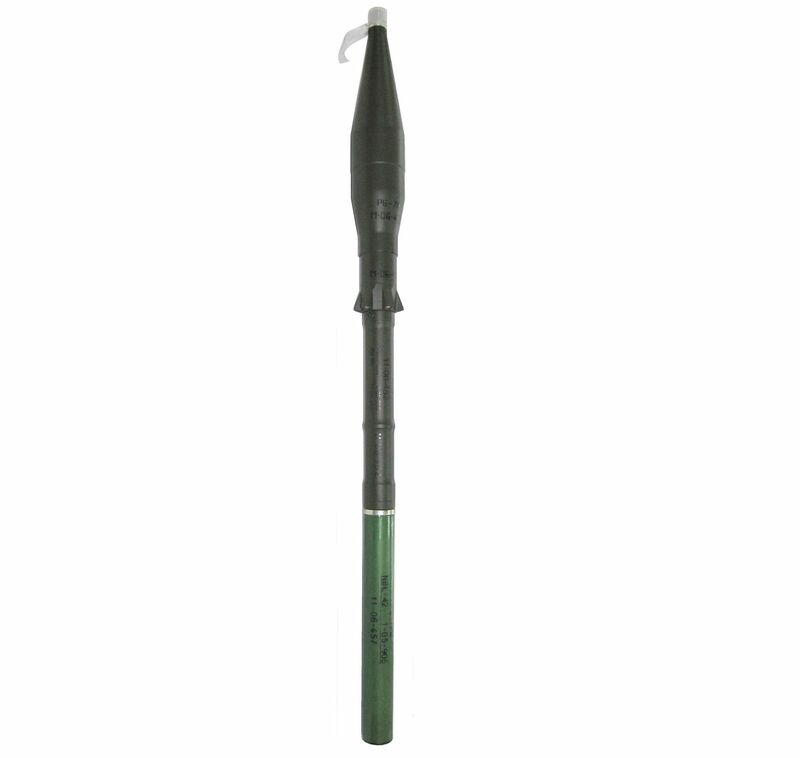 This round is manufactured by Arsenal in Bulgaria, and again is likely to be the original property of the Nigerian Army, or another source, such as the Armed forces of Cameroon. 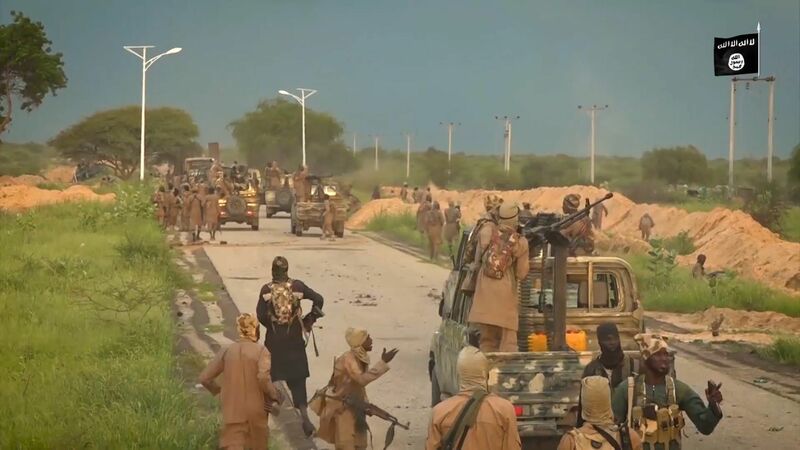 IS West Africa is like so many other extremist groups around the world, not to mention irregular forces in general, in favouring the Technical. Readers of this website should understand this term, but regardless, there is a good article on the topic from War On The Rocks, for those unsure. The technicals seen in use by IS WA are armed with a typical soviet mix, in particular the Soviet KPV 14.5mm heavy machine gun and it's Chinese copy, the Type 56 HMG (Not to be confused with the Type 56 Rifle), the DShK 12.7x108mm Heavy Machine Gun, and also at least one American M2 Browning 12.7x199 Heavy Machine Gun. 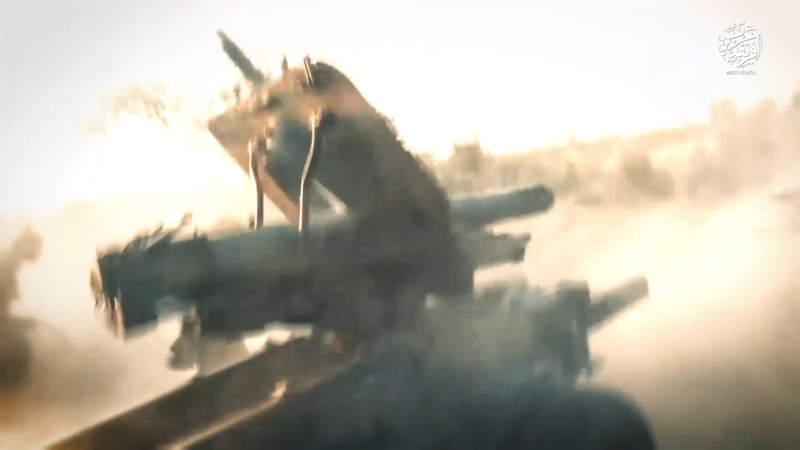 Also spotted was at least one Chinese W85 Heavy Machine Gun, which is visually highly similar to the DShK and fires the same cartridge, but is an indigenous chinese design with various elements appearing to be merely inspired by the DShK. 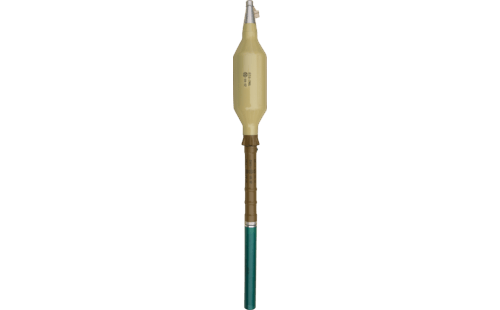 All of the above HMGs are reliable and fire large and powerful rounds, in particular the KPV. IS WA showing the loading process for the belt of the KPV. The HMG shown is actually the Chinese copy. 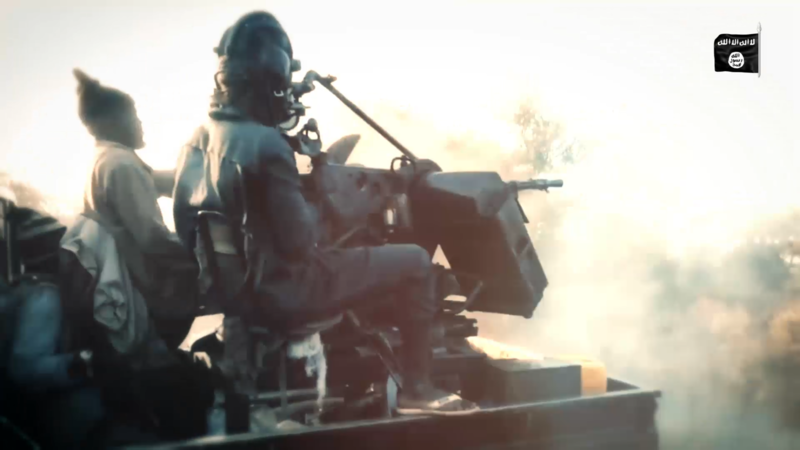 Also seen in use in IS WA's video footage is at least one ZPU-2 14.5mm Dual Mount. This system is essentially comprised of two KPV HMGs on a anti-air mount, but these guns can also be used to devastating effect against buildings, lightly armoured vehicles, and human targets. a ZPU-2 14.5mm dual machine gun mount. 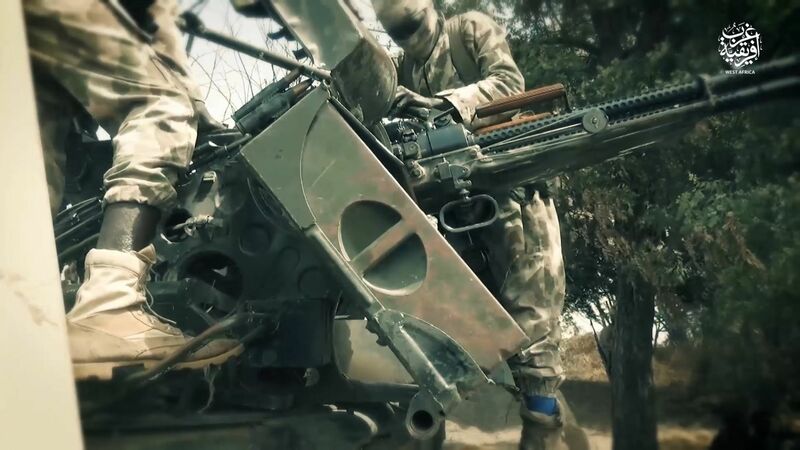 This Soviet anti-aircraft piece is very common across the Middle East and Africa, but most "ZPU-2s" seen in ISIS and other groups' hands are often DIY mounts for two KPV machineguns, as opposed to the factory product. In this case, however, IS WA appear to be using at least one factory product, likely captured from the Nigerian or Camerooonian Army. In general, Technicals do not seem to be lacking in IS WA's Arsenal, with the below sequence showing at least 6 in one portion of an attack on a Nigerian Army position. 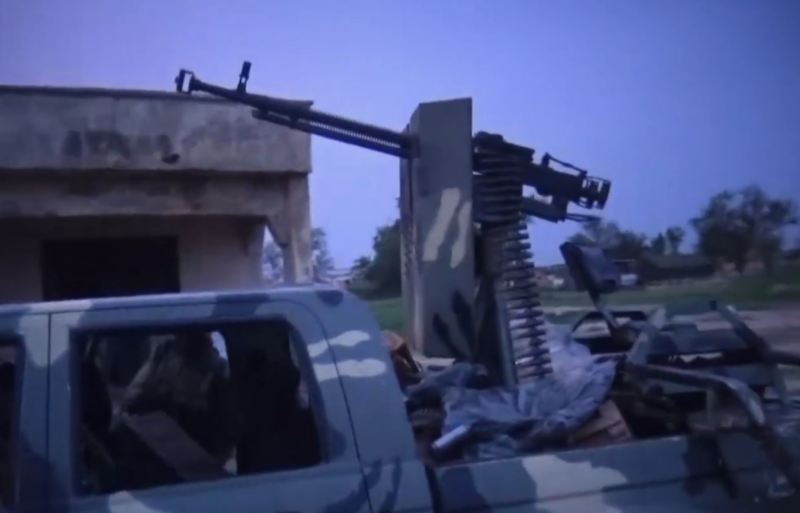 The use of these common Eastern-Bloc heavy machine guns is no surprise, and they enable, when mounted on a pickup to form a Technical, the ability to apply devasating firepower quickly, in a fast and quite easily hidden form given the Air Supremacy of the Nigerian Air Force. 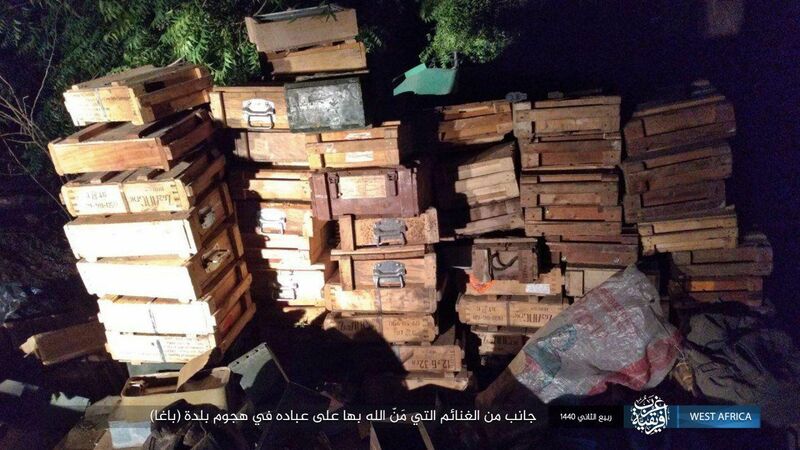 Technicals are clearly very important to the raiding tactics of IS WA, and that this group continues to capture yet more machine guns and more vehicles will only serve to fuel their abilities to launch faster, more deadly attacks. Shown for a very short time is a rather higher-calibre piece- an OTO Melara Mod 56, an Italian-made 105 mm howitzer, which again is likely the result of capture from the Nigerian Army. This appeared to be in use "softening" a position before an attack. Only one example can be seen, suggesting that inventory is rather low. 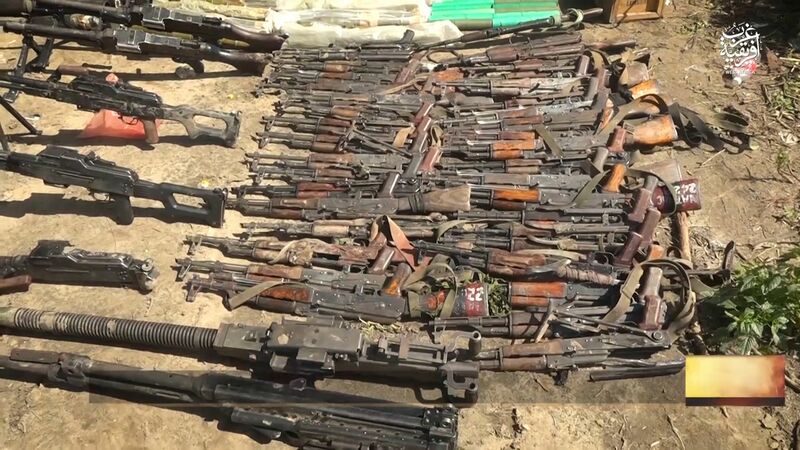 At least one of these guns have been captured by IS WA in it's earlier form as Boko Haram, and then recaptured by the Nigerian Army. 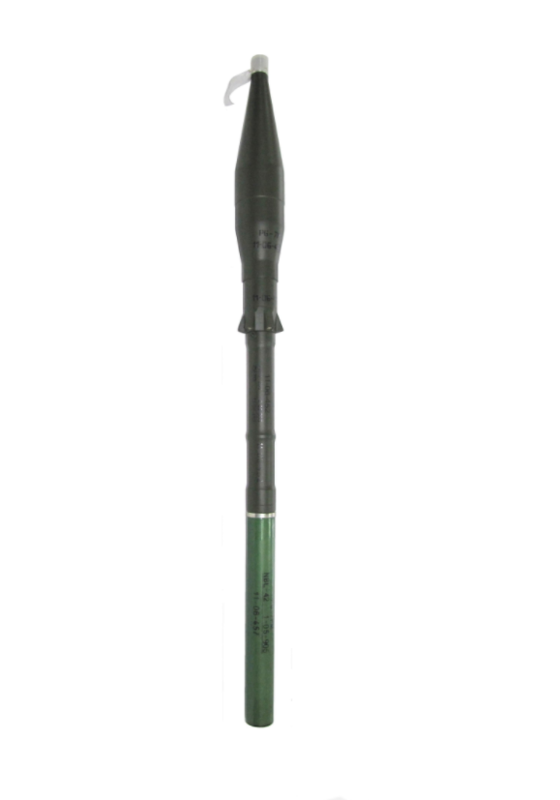 At least 1 Bulgarian thermobaric RTB-7MA round, also for the RPG-7. This record of capture is not intended to be exhaustive (At least one BM-21 Grad was captured, then destroyed by the Nigerian Air Force), yet shows the large quantity captured, meaning the group is likely to be well armed for a long time to come, especially if the arms can be hidden then retrieved to avoid raids and air strikes. IS West Africa is a clearly dangerous and capable group, in both it's pre-ISIS affiliation form as Boko Haram, and it's current state. 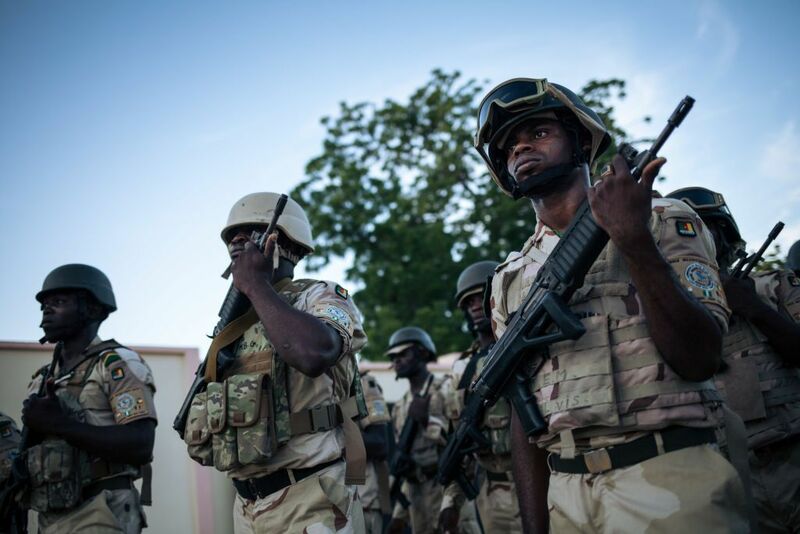 After setbacks in 2016 and 2017, the latter months of 2018 have shown that it is still capable of large scale attacks, and capture of great amounts of weapons. IS WA, whilst still clearly not reaching the skill and territorial holding that ISIS Central once did, is evidently redoubling it's attacks against the Nigerian Government (And other authorities), in particular badly defended military bases, which often hold large quantities of arms and ammunition, and are defended by troops with apparent low morale, thereby being a comparatively easy way to capture needed materiel. 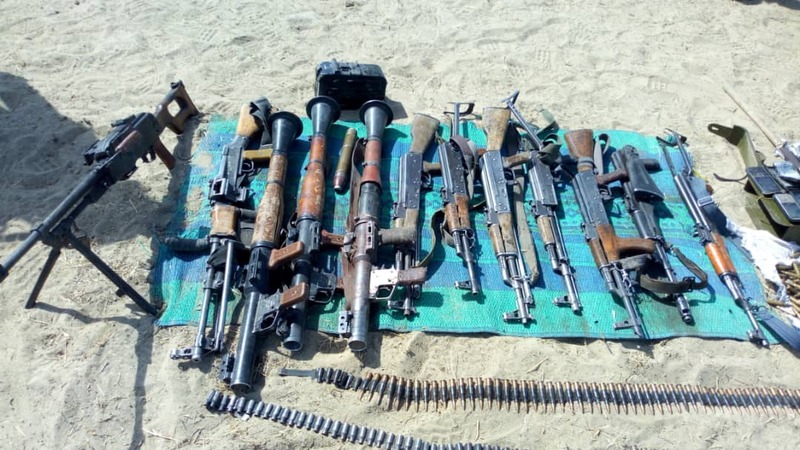 The weapons of IS WA are very clearly a reflection of the local area, in particular the purchasing decisions of the Nigerian Army and other local forces. There is little to no examples of Marksman Rifles, ATGM, or advanced optic use. Whilst tactical analysis is outside of the purview of the author, it is clear that the militants lack basic training, and are not yet close to both the weapons and tactical skill set of ISIS in the Middle East, rather relying on the defenders of outposts and bases to withdraw in the face of fierce attacks. As the insurgency continues, it is possible that we will see more of such advanced arms come into use, but at present, the humble AK is the bread and butter of IS WA. There is no evidence of Foreign Supply beyond using existing smuggling routes. The below image is Nigerian Army capture from IS WA, around the 8th of January 2019, near Lake Tchad. Among the RPGs, PKM, and RPD, we can spot a single AK-103. This could come from a variety of sources, Libyan Leakage being very likely (The AK-103-2 variant). 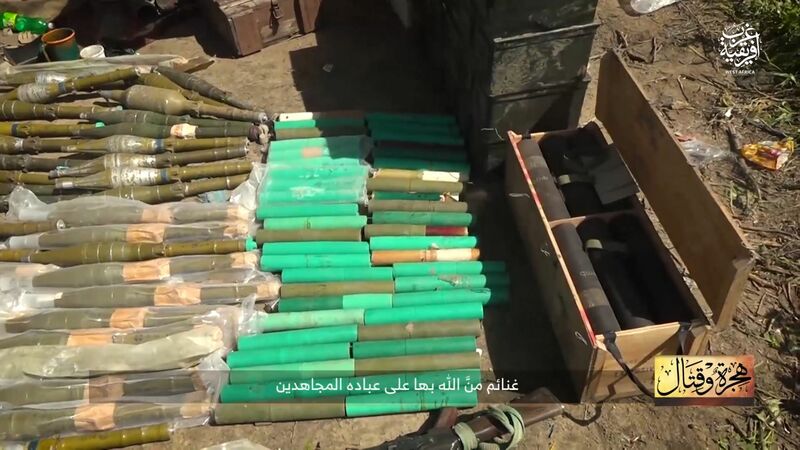 The Gaddafi regime purchased a large number of small arms during the short time that Libya wasn't subject to international sanctions, including thousands of AK-103-2, and these have turned up all over Africa, in Gaza, and even in Syria.